June is Great Outdoors Month and our Bronx REACH CHAMPS program is celebrating local parks and open spaces. A great example of how community action can drive change happened at Soundview Park. Find out more in our profile of the park in our latest newsletter below. Included is a calendar of upcoming events. We invite you to send information about your happenings to info@bchnhealth.org. BCHN's Board of Directors at the 2016 Symposium & Annual Meeting. On May 24, BCHN held its 2016 Symposium & Annual Meeting. This year's theme was "Coordinating and Integrating Oral Health with Primary Medical Health Care." 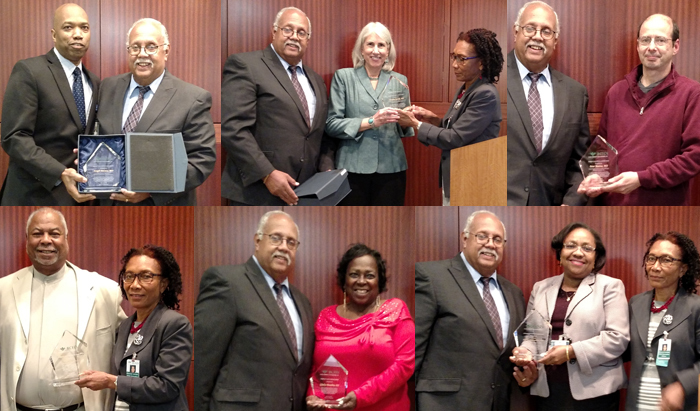 During the meeting, the 2016-17 Board of Directors was revealed. A panel discussion was moderated by Jay Izes, MD, Chief Medical Officer/Quality Improvement Director. The panelists shared their thoughts on the integration of oral health with primary medical care. The example of pediatricians applying fluoride varnish to the primary (baby) teeth was cited. The possibility of having dentists screen adult patients for diabetes and/or hypertension was also discussed. Awards were presented in multiple categories. * Peter Marcus, MD – Family Physician, Claremont Family Health Center, Acacia Network/PROMESA Systems, Inc.
A BCHN-led farmers' market walking group in 2015. Health Bucks are $2 vouchers developed by NYC Health Department District Public Health Offices that can be used to purchase fresh fruits and vegetables at participating farmers' markets. Customers receive one $2 Health Buck coupon for every $5 spent. 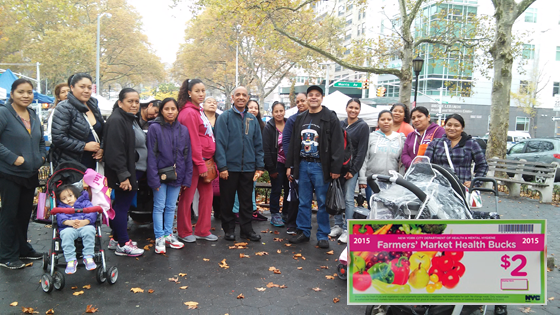 Out of the 250 Health Bucks received by BCHN in 2015, 247 (99%) were redeemed, in large part due to the efforts made by Pedro Gonzalez, Community Health Worker, while leading farmers' market walks that originated from University Avenue Family Practice or P.S. 218. "When Health Bucks are distributed through health promotion activities, such as farmers' market walks and walking groups, it enables participants to be more physically active, and become more motivated to purchase fresh fruits and vegetables," he explains. Comprehensive Health Care Center (CHCC) is located at 305 East 161st Street. Starting with this issue, BCHN will be highlighting staff, programs and success stories at our 17 contracted community and school-based health centers. We are kicking off the series with a look at the work of Comprehensive Health Care Center's (CHHC) Dr. Robert S. Beil. Dr. Beil is a General Internist and American Academy of HIV Medicine (AAHIVM) HIV specialist and has been a primary care physician at Comprehensive Health Care Center of the Montefiore Medical Group since 1993. 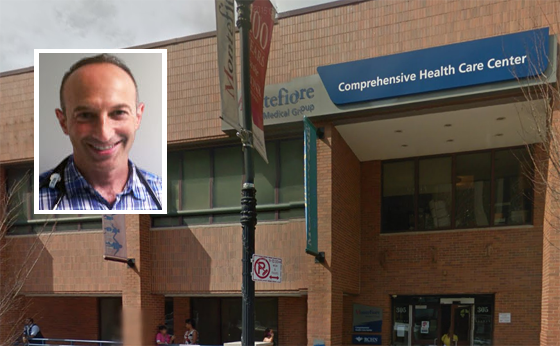 He has been medical director of the Montefiore CICERO Program (the Ryan White HIV program of Bronx Community Health Network and Montefiore Medical Group), which provides community-based HIV services throughout Montefiore’s Health Centers, since 2001. Dr. Beil's research and writing have been largely about HIV care and LGBT health. He was a founding member of the Bronx Lesbian and Gay Health Resource Consortium (now the Bronx Community Pride Center) for over 15 years and that work has led to a number of research projects and publications as well. In 2011, he helped found the Bronx Pride Institute to further research initiatives relating to Bronx LGBT population. Dr. Beil is active in community organizations that work towards improving the health care of lesbian, gay, bisexual and transgender individuals. He is a recognized leader in the medical care of people of the transgender experience in the Bronx. Dr. Beil is a graduate and former Chief Resident of the Social Internal Medicine program at Montefiore. He maintains an active patient panel at CHCC and provides HIV expertise during precepting. * Eric Machicote, CICERO/Ryan White Program Coordinator, has been invited to speak at Division of Community HIV/AIDS Programs' (DCHAP) Business Meeting on August 23, as part of the 2016 National Ryan White Conference on HIV Care and Treatment in Washington, D.C.
* Michelle Forrester, Community Health Worker, recently completed the course to become a Certified Lactation Counselor (CLC). "I know this knowledge will be of value to mothers and families in the Healthy Start program," she explains. * Pedro Gonzalez, Community Health Worker, facilitated a Healthy Heart Healthy Brain workshop on May 14 at Highbridge Community Church. During the event, individual blood pressures were measured, a blood pressure tracking card was given to each participant, and recommendations to follow up with primary care physicians as scheduled. In addition, health education was provided on cardiovascular disease facts and risk factors, and preventive measures that can be taken. 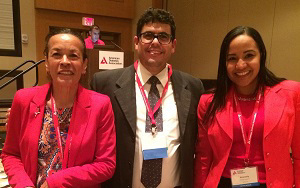 * Nancy Manus, Project Director, and Krismely Garcia, Emergency Department Liaison, attended the American Diabetes Association's 31st Annual Clinical Conference on Diabetes from May 26-29 in Jacksonville, Florida. The conference featured updates on leading-edge treatment and the latest information in diabetes management. The BCHN team also had the opportunity to meet with Dr. Jose E. Rodriguez, Co-Director of The Center for Underrepresented Minorities in Academic Medicine, to discuss future opportunities for linkage. * BCHN's community outreach team participated in the Second Annual Unity In The Community Day at DeWitt Clinton High School on June 4. The team provided participants with information on services offered by BCHN such as Healthy Start, Access NYC, and linking residents to health insurance. Attendees were screened for blood pressure and provided literature on hypertension, recognizing heart attacks and strokes. 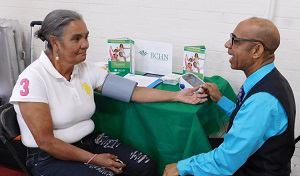 * BCHN participated in Council Member Vanessa L. Gibson's health and wellness fair on June 4. Our outreach team gave a presentation on the services offered by BCHN, and conducted an activity that demonstrated the amount of sugar contained in soft drinks and juices. 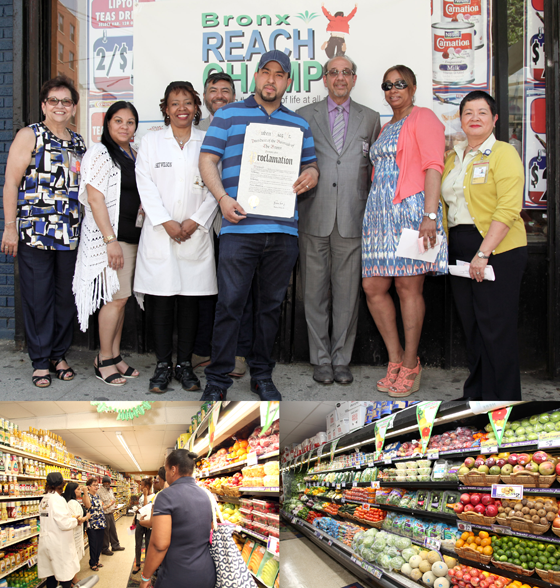 Bronx REACH CHAMPS partners, NYC Health + Hospitals, Gotham Health-Segundo Ruiz Belvis and Bronx Community Health Network, co-sponsored a grocery store recognition ceremony on May 26 at the Compare Foods Supermarket on 250 Cypress Avenue. Compare Foods received a proclamation from the Bronx Borough President's Office after completing required steps in the Montefiore Healthy Store Initiative, a collaboration with Bronx REACH CHAMPS and the NYC Department of Health's Shop Healthy NYC Program. 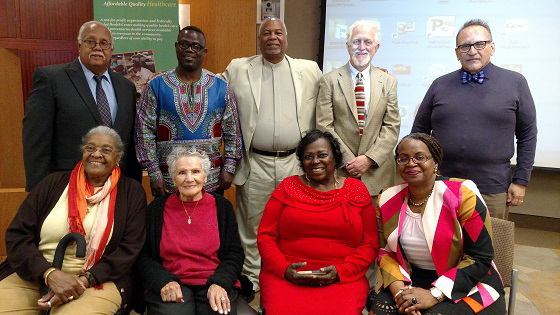 A proclamation ceremony was held at Compare Foods on May 26. The event also included a healthy cooking demonstration by Chef Geneva Wilson and a walking tour of the store. 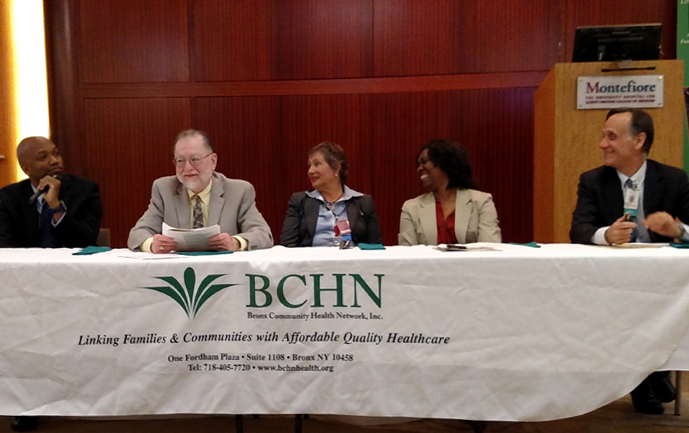 On May 26, Eleanor Larrier, CEO, and Mike Hernandez, Bronx REACH CHAMPS Program Manager, along with Barbara Hart, Executive Director at The Bronx Health Link, presented an overview of the REACH CHAMPS day care initiative to Community Board 12 in a meeting broadcast on BronxNet. You can watch here (starts at 1:13:42). This month we shine the spotlight on Soundview Park, situated where the Bronx River opens into the East River. When the City of New York acquired the original 93 acres of land for this park in 1937, the entire area was composed of marshland. 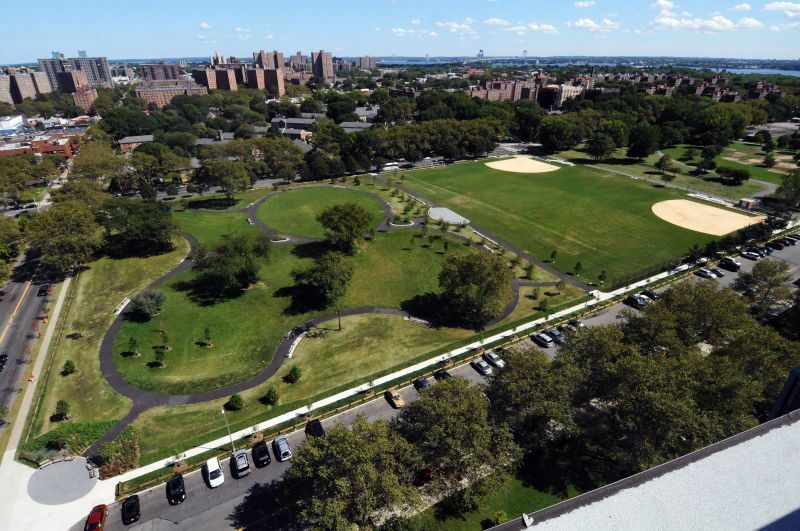 Today, the 205-acre park offers six grass baseball fields, a cricket pitch, a soccer field, six basketball courts, six handball courts, a running track with synthetic turf field, walking/biking paths and a performance lawn. The story of Soundview Park can not be told without mentioning the efforts of Lucy Aponte, formerly on the BCHN Board of Directors and currently an Advisory Council member. A Bronx native, Ms. Aponte became interested in Soundview Park just after the turn of the 21st century. At the time, the park was littered with trash and often occupied by gangs and criminal activity. Ms. Aponte, who founded the Friends of Soundview Park in 2010, shared the history of the park and her efforts to revitablize it during the May 18 parks and open spaces Bronx REACH CHAMPS meeting at BCHN. Fifteen years ago, Ms. Aponte had visions of music and art festivals, poetry readings and children’s puppet shows in the park. Undeterred by the skepticism of locals who doubted conditions could be changed, she pressed on, making calls to the City requesting better upkeep of the park and for permission to host concerts on its grounds. Ms. Aponte organized a core group of residents who initiated a park clean-up. Local residents had initially supported the concept but declined to do any of the manual work. As they saw the positive changes in the park initiated by the goup, other community residents joined in the effort. Ms. Aponte then decided that she wanted to put on a public concert in the park but was not granted a sound permit, based on the assumption criminal disturbances might arise during the shows. Undaunted by this challenge, Ms. Aponte began a collaboration with Make Music New York, a non-profit organization that provides sound permits and links to local musical performers, free of charge, for performances just outside the park. After the local police precinct observed that no criminal activities took place during the first three years of concerts, Ms. Aponte was awarded her first sound permit in 2010 to hold concerts inside the park. The event became a great success, and a testament to the perserverance of community residents. During the May meeting, Ms. Aponte pointed out that when parks are actively programmed by the community, the rate of criminal activity actually goes down. Currently, Soundview Park hosts an annual festival and has a crew of park maintenance staff who maintain the grounds. Ms. Aponte added Butterfly Meditation Garden. There is also an amphitheater, where movies are shown in the evenings in the summer. Look for more on Ms. Aponte and Soundview Park in a video feature coming soon to the BCHN website. 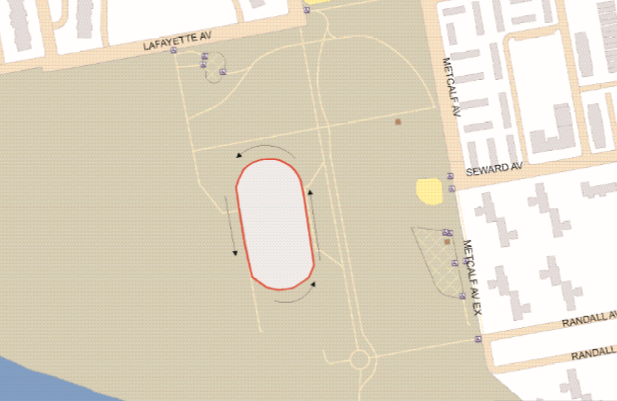 The walking path inside Soundview Park (see below) is 440 yards, and it takes approximately 4 laps to reach 1 mile. BCHN's Engage-NYC team will be celebrating Lesbian, Gay, Bisexual, Transgender, Queer/Questioning – or LGBTQ – Pride Month by marching with the Montefiore Medical Group team during the Heritage of Pride event on June 26 in Manhattan, as well as in the Bronx Pride parade on July 16. The theme for National Health Center Week 2016 (NHCW) is "Celebrating America's Health Centers: Innovators in Community Health." BCHN will be hosting multiple events during the week, including a recognition dinner on Thursday, August 11 (more details coming soon), and a health fair on Saturday, August 13 outside Fordham Plaza from 10:00 AM to 4:00 PM. Note: The dates and times for the events above are subject to change. Regularly check out the events calendar on the BCHN webiste for updated listings. To learn about upcoming events and location check out the BCHN events page, or to arrange for BCHN representatives to be at your upcoming event, contact us.